ExpressVPN vs PureVPN vs ExpressVPN vs PureVPN 2019 - 5 Tests, 1 Winner! In contrast, Express had a very similar – though higher profile – situation when a Russian ambassador was assassinated in Turkey. The assailant was found to have used ExpressVPN not long beforehand, but when Turkish authorities seized ExpressVPN’s servers, they found that there was no useful information there, since they really don’t keep any logs. Plus, Express is based in the British Virgin Islands, which is outside the 14-eye alliance, whereas PureVPN is based on Hong Kong, whose proximity to Chinese authorities makes some users skeptical. In short, if you’re really privacy conscious, you should definitely go with ExpressVPN. That said, if you’re using your VPN to protect you from hackers, both providers will serve you well. That’s because both offer similar levels of encryption, multiple security protocols, kill switches, split tunneling, and IPv6leak protection. 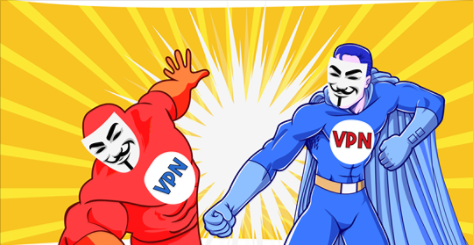 Same if you want your VPN for bypassing the Great Firewall of China – both ExpressVPN and PureVPN will do the job. But if you want to unblock Netflix, you’re going to need ExpressVPN. One advantage PureVPN has over ExpressVPN is that they allow five simultaneous connections while ExpressVPN only allows three. They also have more payment options than ExpressVPN and offer a 3-day free trial. Both VPNs have month-long money back guarantees, but while ExpressVPN’s is really reliable, we tested Pure’s and found it to be a huge hassle. There is a lot of hype surrounding ExpressVPN’s service. You may have heard about this VPN’s legendary speeds and powerful unblocking capabilities when it comes to streaming. But is ExpressVPN too good to be true? What’s the downside? Is ExpressVPN sacrificing your safety to achieve such high speeds? To find out the real story, I put ExpressVPN through our toughest tests. Great VPN It works well from any place I travel to so I have no worries that all the necessary software will work fine no matter what restrictions the country I've been to has. It doesn't slow the speed of the Internet as well. Both vendors offer native apps that are easy to install and use. However, ExpressVPN provides the faster and more stable connections, better privacy policies, and longer money-back guarantee. PureVPN does offer unlimited bandwidth and server switching, as well as split tunneling and excellent customer services, but is unable to access Netflix. At the end of the day, these coupons for ExpressVPN make the decision really easy. Best VPNs for Torrents ExpressVPN supports P2P / torrenting on all its servers and works with the Tor Network. PureVPN allows P2P on some of its services, however, its approach to privacy is a concern for users looking for a torrenting service. ExpressVPN supports P2P / torrenting on all its servers and works with the Tor Network. PureVPN allows P2P on some of its services, however, its approach to privacy is a concern for users looking for a torrenting service. Best VPNs for Windows Both providers offer easy to install and use apps for Windows. Users of PureVPN benefit the inclusion of a ‘use intelligence’ feature that assigns a server based on your needs. ExpressVPN users, however, benefit from faster and more stable connections, a greater number of servers, and the vendor’s strict no-logging policy. Both providers offer easy to install and use apps for Windows. Users of PureVPN benefit the inclusion of a ‘use intelligence’ feature that assigns a server based on your needs. ExpressVPN users, however, benefit from faster and more stable connections, a greater number of servers, and the vendor’s strict no-logging policy. Best VPNs for Android Both vendors provide apps that are easy to install and straightforward to use. ExpressVPN’s app does not require any configuration, while the app from PureVPN offers a variety of usage modes, so users can get the best type of connection for their needs. Both vendors provide apps that are easy to install and straightforward to use. ExpressVPN’s app does not require any configuration, while the app from PureVPN offers a variety of usage modes, so users can get the best type of connection for their needs. Best VPNs for Mac Both vendors offer easy to install and use apps for this operating system. ExpressVPN enables users to set the OpenVPN protocol as their default setting, ensuring consistent privacy and security. PureVPN offers several different versions of its app depending on the exact operating system being used. Both vendors offer easy to install and use apps for this operating system. ExpressVPN enables users to set the OpenVPN protocol as their default setting, ensuring consistent privacy and security. PureVPN offers several different versions of its app depending on the exact operating system being used. Best VPNs for iOS PureVPN was one of the first providers to offer an app for iOS and the app offers a variety of well-tested features that aim to improve usability. ExpressVPN users benefit from its military grade encryption, no logging policy, and fast speeds, as well as having an iOS app that does not need further configuration. PureVPN was one of the first providers to offer an app for iOS and the app offers a variety of well-tested features that aim to improve usability. ExpressVPN users benefit from its military grade encryption, no logging policy, and fast speeds, as well as having an iOS app that does not need further configuration. Best VPNs for USA Both PureVPN and ExpressVPN have servers within the USA, and both can be used to access geo-restricted content. However, PureVPN cannot currently access US Netflix. It is the speed, reliability, and server numbers of ExpressVPN, as well as its continuing ability to bypass Netflix geo-blocks, which puts it in the lead. Both PureVPN and ExpressVPN have servers within the USA, and both can be used to access geo-restricted content. However, PureVPN cannot currently access US Netflix. It is the speed, reliability, and server numbers of ExpressVPN, as well as its continuing ability to bypass Netflix geo-blocks, which puts it in the lead. It works well from any place I travel to so I have no worries that all the necessary software will work fine no matter what restrictions the country I've been to has. It doesn't slow the speed of the Internet as well.